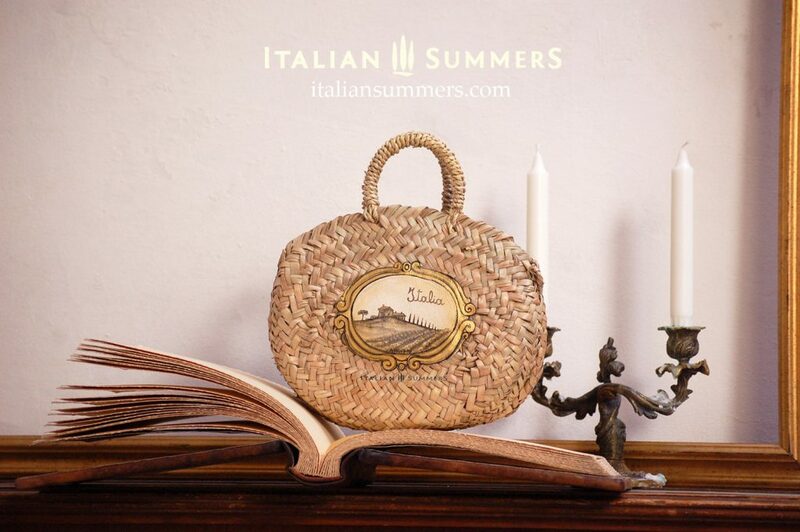 Inspired by Tuscan villas, their rolling hills and scenes from the movie ‘Under the Tuscan Sun’ This mini oval strawbag features a miniature painting on canvas of a Tuscan landscape. This little “bonbon” box of a bag is irresistable. The cutest little Italian gift which will warm your Italy loving heart. Also perfect for Italian wedding gifts or to treat your bridesmaides with it! 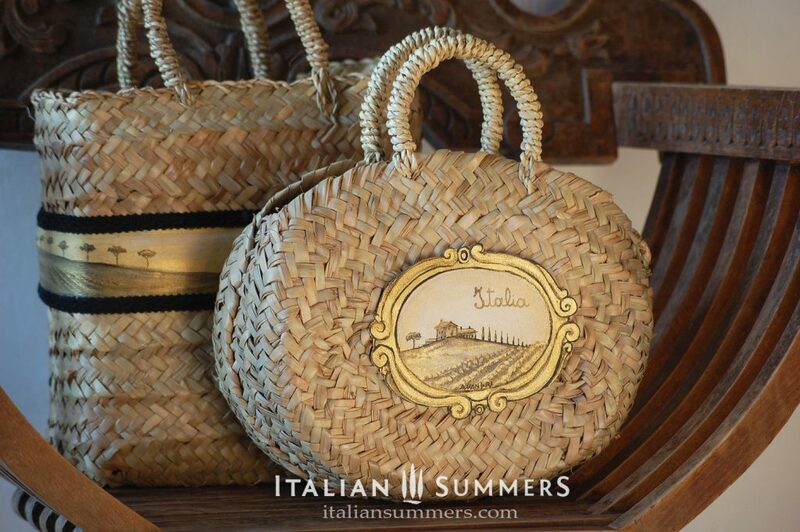 Straw bag, straw basket, coffa, coffa Siciliana, Sicily bag,..there are many names for these straw bags. Completely overdecorated or natural. Straw bags have been extremely popular, especially in the last few years. We even saw them on the catwalks of famous designers like Dolce & Gabbana. Richly embellished or just simply beautiful in their own natural way. We simply fused age-old woven straw bags to refined Italian painting techniques to create the DOLCE ITALIA line. A logic approach because we are lucky to have our own in-house Artist Claudio Assandri, a talented painter, sculptor and illustrator. As we are always inspired by the beauty of Italy, ideas flow easy. This line with a touch of gold is inspired by the golden light sunsets that make Italy’s landcapes even more beautiful. 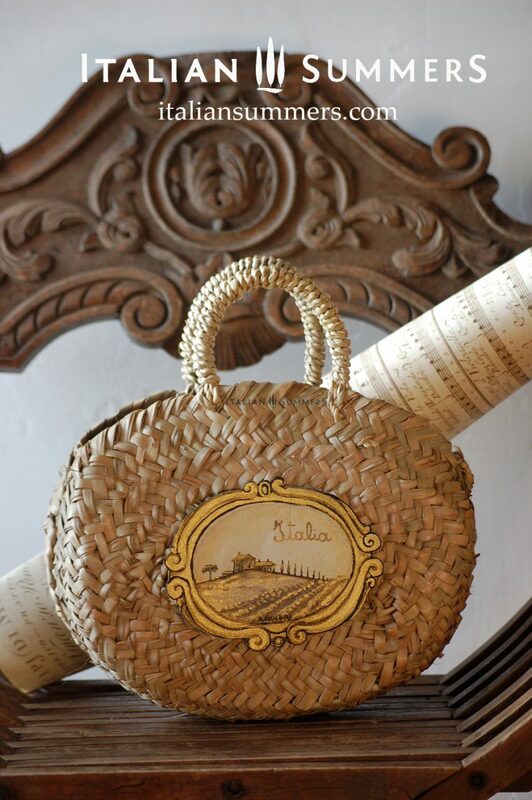 This cute little oval mini straw bag with its Tuscan feeling to it will make you remember your last summer in Italy or will inspire you to make new plans. We personalize it for you with another writing, a name or date. Just let us know!